Wembley Stadium hosts its first ever Premier League fixture this weekend as Tottenham Hotspur, officially the home side, take on Chelsea in a tasty London derby showdown. The Lilywhites have to put their past hoodoo of playing at the national stadium to one side, as they look to get one over the only team that finished above them in the table last season. Forget a lack of transfers during the off-season – the biggest factor holding Tottenham back this coming campaign is playing their home fixtures around 13 miles West at a ground that they have notoriously struggled to perform at in the past. One of the Lilywhites’ more famous modern-day moments came at the 90,000-capacity venue in 2008 when beating Chelsea 2-1 in the EFL Cup final, but since then their record is close to atrocious, losing seven and winning just one of their last nine games there. Boss Mauricio Pochettino was quick to play down suggestions that the success of Tottenham’s season will come down to how successful they are in their new surroundings, but there will be plenty of focus on last term’s second-placed side in this first home game. A 2-0 victory over Newcastle United last weekend certainly helped lift the mood somewhat after being rocked by comments made by defender Danny Rose on the eve of the season – when essentially touting himself to rival clubs – having seen close friend Kyle Walker depart for Manchester City last month. Yet while Spurs struggle to bring in new recruits, with Ajax defender Davinson Sanchez expected to become their first arrival at some point over the weekend, Walker remains the only first-team regular that they have lost during the summer, keeping their impressive core largely intact. A couple of additions to bolster the bench may be all that it takes for Tottenham to continue their recent trend of improving their position season on season which, should that be the case, will see them crowned champions come next May. There is no denying that their best-ever Prem finish last time out was built on a hugely impressive run of form at White Hart Lane, though, where they went the whole campaign unbeaten, winning 14 in a row to see things through. Only once before have they won 15 home league games on the spin, with Southampton the last team to take points off Pochettino’s men on home soil in May 2015, and Liverpool’s all-time record of 21 will be in sight if they can end this worrying Wembley hoodoo. For three months last season, after tweaking formation to go with Antonio Conte‘s favoured three at the back, Chelsea quite simply looked unstoppable as they brushed aside all comers. Thirty-two goals were scored between October 1 and the end of the year, while four were shipped at the opposite end in a record-equalling 13-match winning run that essentially took them all the way to the title. Notably, it was Tottenham who eventually ended the spectacular run of form on January 4 with an impressive team display, targeting Cesar Azpilicueta‘s side of the pitch to score a couple of identical goals in a 2-0 triumph at The Lane. Chelsea recovered sufficiently to get over the line fairly comfortably, doing so with a couple of games to spare in the end despite the Lilywhites’ best efforts, but they were never quite at their free-flowing best in the latter stages of the campaign even if the wins continued to steadily tick along. There was a sense of opposition managers beginning to work them out, much like Pochettino did, leading to Conte experimenting slightly over the final final six league games – all ending in maximum points going the Blues’ way. All does not appear to be well at Stamford Bridge just now, however, having lost three competitive games in a row since lifting the title, beginning with back-to-back defeats to Arsenal in the FA Cup and Community Shield, before their shock loss to Burnley last weekend. Perhaps the 3-2 setback will prove a blessing in disguise for Conte, who is seemingly desperate to bring in new recruits to add to a squad that already looks depleted at this early stage in proceedings, not helped by red cards shown to Cesc Fabregas and Gary Cahill last time out. Not since 1973 have Chelsea lost their opening two games to a top-flight season, and it is 36 years since a defending champion kicked things off with successive defeats, but Conte will need no reminding that eight of his nine defeats in English football so far have come in the capital. Pochettino will be hoping to welcome Kieran Trippier back following the ankle problem he picked up in pre-season, ruling him out of the win over Newcastle and giving Kyle Walker-Peters a chance to impress – impress he did, too, being named sponsors’ Man of the Match. Rose, Erik Lamela and Georges-Kevin Nkoudou are still nursing injury problems, meanwhile, but the hosts’ biggest selection decision may come down to what formation is chosen. A three-man backline has worked well at times against Chelsea, including in their last league meeting, and that would likely allow Victor Wanyama to slot back into the middle of the park where he performed so well in 2016-17. In terms of the visitors, Victor Moses could return at right wing-back after serving the ban carried over from the FA Cup final, but Cahill and Fabregas miss out due to the reds received against Burnley. That has made a thin squad even thinner, though summer signing Tiemoue Bakayoko is closing in on a return to full fitness and Eden Hazard – back to his best last season – is also an outside contender to feature at Wembley. 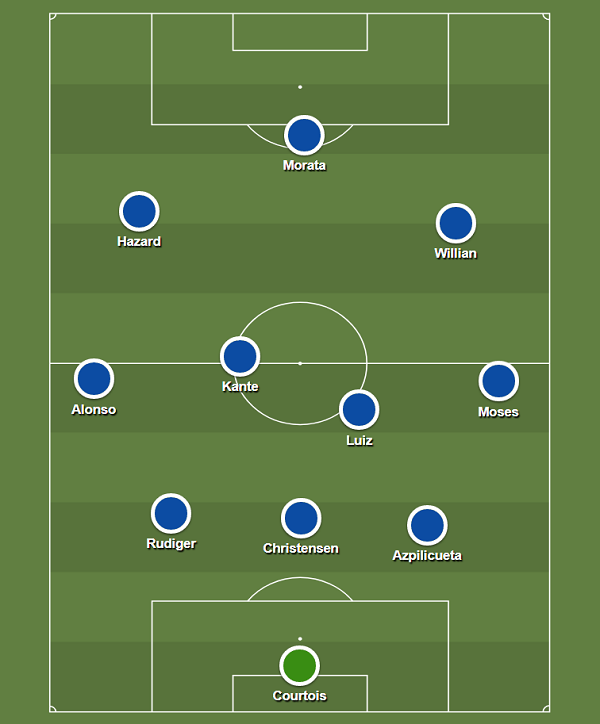 Hazard may have to be risked even if half-fit, in fact, as Pedro is carrying a knock and Diego Costa is still AWOL, leaving Alvaro Morata and Michy Batshuayi to carry the weight. Chelsea have lost just two of the last 17 meetings against Tottenham in league and cup, winning eight and drawing the other seven. The most recent encounter between the two sides came at this venue in April, as the Blues edged out their rivals in a six-goal thriller to progress to the FA Cup final. Spurs are unbeaten in 13 top-flight London derbies under Pochettino, however, winning nine of those over the past few years. 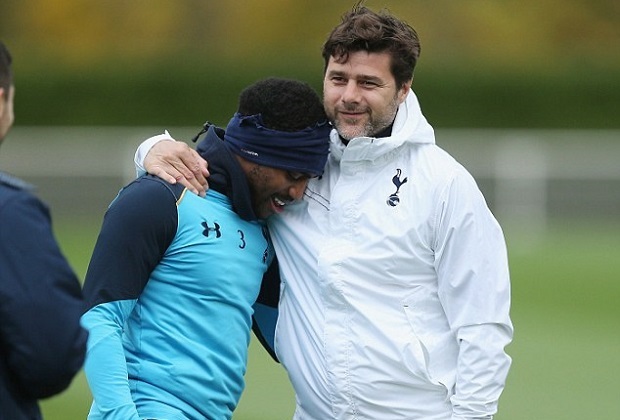 CHELSEA are prepared to pay Danny Rose £120,000 a week if he joins them this summer. That’s according to the Evening Standard, who claim the Blues would have no issue stumping Tottenham’s £50m valuation of the 27-year-old. Rose has established a reputation as one of the Premier League’s top full-backs after impressing for Spurs over the past couple of years. This week he gave an interview to The Sun in which he revealed his frustrations with their lack of success and low wage structure. Those revelations led to reports Chelsea or Manchester United would be Rose’s preferred destination if he left Tottenham. It seems Chelsea would be interested in signing him if Tottenham agreed to sell. The Evening Standard say Rose has been on their radar for some time. And he may be targeted if they end their pursuit of Juventus ace Alex Sandro. Chelsea would have no problem paying the £50m he’s rated at. And they’d apparently be willing to double his current £60,000-a-week wages. Chelsea’s hopes of prising Rose away for Tottenham are slim though. The clubs have been on bad terms since sporting director Frank Arnesen’s move to Stamford Bridge in 2005. While that animosity was heightened by Chelsea’s attempts to sign Luka Modric in 2011, as well as clashes in their Premier League showdown at the end of the 2015/16 campaign. Frank Lampard has named Barcelona superstar Lionel Messi and Tottenham goal machine Harry Kane as his two ‘dream’ signings for Chelsea. Antonio Conte has endured a frustrating transfer window but hopes a flurry of late arrivals can improve the mood at Stamford Bridge. The Italian, who led Chelsea to the title last season in his debut campaign in England, is still hoping to sign a wing-back, a midfielder and an attacker to support Alvaro Morata. And while admitting any moves for Messi and Kane would be futile, Lampard says he would love to see the world-class duo sign for his former club. When asked to name a potential target for Conte, the former England international told The Sport Review: ‘Is Lionel Messi realistic?! I don’t know. ‘For me, the best players in the league last year were Eden Hazard and Harry Kane. ‘So you’re looking at Harry Kane but they won’t be able to get him, that’s a fact. He’s at Tottenham and he’s very happy there. 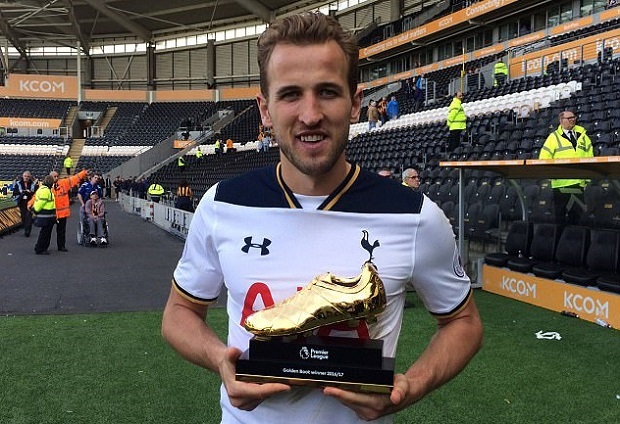 Conte has previously revealed his admiration for Kane, who won the Golden Boot award last term, labelling him a ‘complete striker’. Speaking at the end of last month, the Italian said: ‘If I had to buy one striker I would go to Kane. He is a complete striker. ‘He is strong physically, with the ball, without the ball, he fights and he’s strong in the air and acrobatic on the right and the left. ‘He’s a complete player. He’s one of the top strikers in the world. If you go to buy Kane now it would be at least £100m. Chelsea won the league by seven points last season but appear set for a tougher test during the 2017-18 campaign with both Manchester clubs spending over £150million. ‘I think it’s going to be as close as we’ve seen for years,’ Lampard added. ‘The way all of the top clubs have added to their squads. ‘Chelsea were by far and away the strongest team last year but they’re going to be challenged much closer this year. ‘They will be up there, Manchester City and Manchester United will be up there and Tottenham – that would be my top four. It was the interview no Tottenham fan ever wanted to see. In a revealing sit-down with The Sun, Danny Rose admitted that time is running out in his career to win trophies and medals and he’d be willing to discuss a move away from north London to be able to do so. The 27-year-old told The Sun that he wasn’t planning on submitting an official transfer request to force through a move, but he’d be willing to discuss offers that came in from other clubs. Rose has indicated that he’s growing disillusioned with the perceived lack of ambition at Tottenham and the slow transfer activity that has seen Spurs fail to bring in a new face thus far this summer. Moreover, he’s expecting a pay rise when he negotiates his next contract, inferring that he feels undervalued by the club and isn’t paid what he’s worth. These are issues that other, more financially imbued, clubs can readily resolve, hence Rose’s eagerness to try and engineer a move elsewhere. RealSport understand that Rose would prefer a move to one of Manchester United or Chelsea, so we’re looking at which would be best for the left back. Jose Mourinho isn’t yet satisfied with United’s transfer business this summer and reports have emerged that he’s keen to switch his attention to Rose if the Red Devils fail in their pursuit of Ivan Perisic and Gareth Bale, which is looking likely. From Rose’s perspective, this is a great move. United are finally beginning to look the side that Sir Alex Ferguson left behind in terms of quality, though the mentality is still some way short of that engineered under the Scot. Having won three trophies last season, Mourinho has further demonstrated his trophy-winning pedigree and it offers Rose a chance to win a piece of silverware, perhaps even the Premier League title. United are willing to open the chequebook when it comes to players they desperately want and a move would see Rose earn over £100k p/w, satisfying his desire to earn a wage he feels reflects his worth. It also won’t leave too bitter a taste in the mouths of Spurs supporters. For Mourinho’s counter-attacking, low block defensive system, Rose is a great addition. He offers speed, trickery and directness on the counter-attack, attributes United lack in defence. It’s proven difficult to play for Daley Blind and Matteo Darmian, pure defenders rather than winger-wingback hybrids, especially in a 3-5-2 formation, but Rose would correct this deficiency. If Spurs do decide to sell Rose this summer in light of his outrageous interview with The Sun, United are perhaps the best suitor in terms of the benefits the selling club receive. The Lilywhites are in a strong position when it comes to Rose. He signed a five-year deal only last summer, so his value is protected for the next couple of years, and they’re in a position in which they don’t actually need to sell, especially as Rose didn’t explicitly state that he wanted to leave or that he’d hand in a transfer request. It means Spurs can demand an extortionately high fee. Moreover, Mourinho has players in his squad he doesn’t want, namely Luke Shaw and Anthony Martial. Prior to his move to Old Trafford, Shaw was one England’s most promising youth prospects and excelled under Mauricio Pochettino at Southampton. 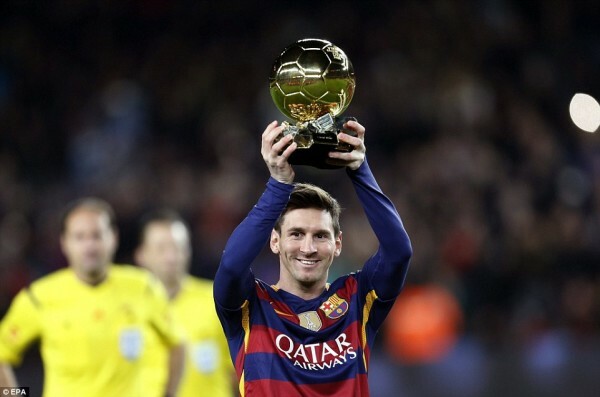 Perhaps the Argentine can get the best out of him once more if he overcomes his fitness issues? 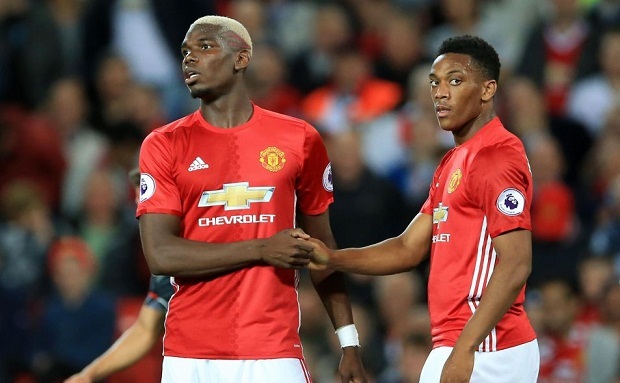 Martial, too, would be a great addition to Tottenham and he offers directness, power and speed on the left flank, as well as an ability to beat defenders and fire shots on goal. 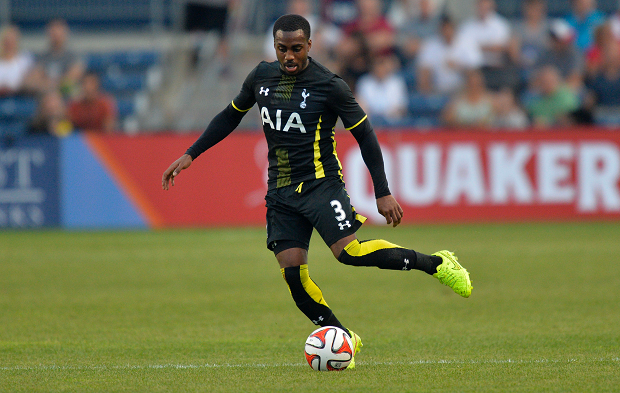 Selling to United allows for Spurs to include players they need in a part exchange deal. I’m eager to understand how Chelsea fits into Rose’s perception of “up north,” but he reportedly is keen to join Antonio Conte’s title-winners if they were to table an offer. Last time I checked, Chelsea were still based in west London. Chelsea offers arguably the same prospect as Manchester United. At Stamford Bridge, Rose will likely be able to fulfil his desire to win trophies and Roman Abramovich would undoubtedly offer him a mammoth wage packet to reflect his perceived worth. 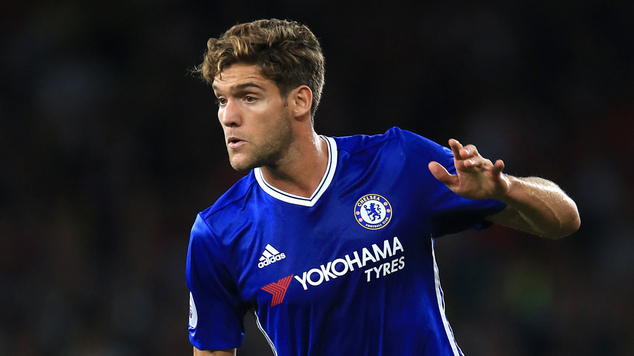 However, Marcos Alonso had a fantastic season and there’s the argument that Rose wouldn’t be undisputed first choice as he would at Old Trafford. He’d likely slot into a rotational system, but there’s every chance he ousts Alonso as first choice by the mid-way point of the campaign. Moreover, Chelsea are enduring some turbulence at present. The squad is thin, Conte is unhappy with the summer activity and there are doubts over whether he’ll continue at the club. Is this the best environment to join? In truth, it doesn’t matter too much. Chelsea are notorious for turning over both players and managers on a regular basis, yet still manage to keep the silverware incoming. Chelsea benefit in the same way United do. In Rose, they get the Premier League’s best left back, one that made it into the PFA Team of the Year despite missing half the season through injury. He fits Conte’s counter-attacking style of play and his speed and energy on the left flank offers a great attacking outlet to complement and support Eden Hazard on the same side of the pitch. Moreover, it solves a key issue in their squad in terms of depth. 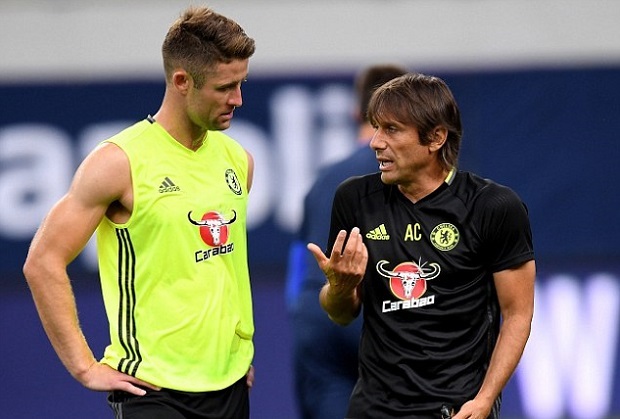 Conte has complained about the diminishing size of the Blues’ squad and having a pair of wing backs to rotate through the season will be key to success, given the importance placed on the position in the Italian’s system. The encouraging thing about having both Chelsea and United interested in Rose is that Daniel Levy can do what he does best and spark a bidding war to drive his price up and both clubs will be willing to spend around £50-60 million to acquire him. Either way, therefore, Spurs will benefit financially. However, there’s no upside whatsoever in selling the 27-year-old to the Blues. The boardroom will be perceived in a terrible light by the fanbase for committing the unforgivable act of selling to a London rival, whilst there aren’t many players Chelsea would be willing to send the other way to sweeten the deal, whereas United have a few in their ranks that would solve a few problems in the Spurs squad. Whilst no Spurs fan or member of staff, for that matter, wants to see Danny Rose leave the club, the fact of the matter is that it might become an inevitability in the near future. If it does, there’s only one option here in terms of selling within the Premier League. It’s unspeakable to sell to Chelsea, leaving just United as an option. Moreover, the Red Devils will pay over the odds and be able to offer players in exchange to sweeten the deal. Chelsea boss Antonio Conte has branded Harry Kane “one of the best strikers in the world”, and revealed that he would jump at the chance to sign the Tottenham Hotspur forward in the future. The Blues broke their transfer record to sign Alvaro Morata from Real Madrid this summer after missing out to Manchester United for former centre-forward Romelu Lukaku. Conte, however, has claimed that he would have signed Kane if Spurs were prepared to sell their prized asset in this summer’s transfer window. “For me, Kane, now, is one of the best strikers in the world. If I had to buy one striker I would go to Kane,” Conte told reporters. “He is a complete striker. He is strong physically with the ball, without the ball, he fights and he’s strong in the air and acrobatic on the right and the left. Kane netted 35 times in 38 appearances in all competitions for Spurs last season, while the €166m-rated England international has 99 goals in just 165 first-team matches for his London club. Manchester United and Tottenham are interested in signing Turkish prospect Serkan Bakan, the player’s agent has confirmed. The Gaziantepspor ace has attracted interest from across Europe after becoming the youngest player to score a goal in the Turkish top-flight last season. The 16-year-old has represented Turkey at U16 level and must decide if he wants to continue his development with Gaziantepspor after their relegation last term. Bakan’s agent describes the midfielder as ‘special’ and says both Manchester United and Spurs have shown interest in the teenager. ‘Manchester United and Tottenham have been scouting Bakan,’ Ibrahim Polat told ESPN. ‘Several clubs from Germany have also been keeping tabs following his debut season in the Super Lig. Leicester City have dropped their asking price for Riyad Mahrez amid interest from Arsenal, Liverpool, Tottenham and Roma, a report claims. The report claims that Leicester have recieved a bid of around £30million for the Algerian international from Serie A side Roma but this fell £10million short of their valuation. It is thought that the former Premier League champions originally valued the winger at £50million pounds however they have now decided to lower that valuation to £40million amid the interest in him. Leicester boss Craig Shakespeare admitted that there had been a bid tabled from Roma and it had been rejected but refused to confirm the exact figure: “It was politely declined on the basis that it was a low offer. Don’t ask me how much because I don’t know and I don’t get involved in that”. It is believed that the Foxes Premier League rivals Liverpool, Arsenal and Tottenham still maintain a solid interest in the midfielder and could make significant moves of their own towards signing him if Roma are not willing to up their offer by £10m and match Leicester’s valuation. 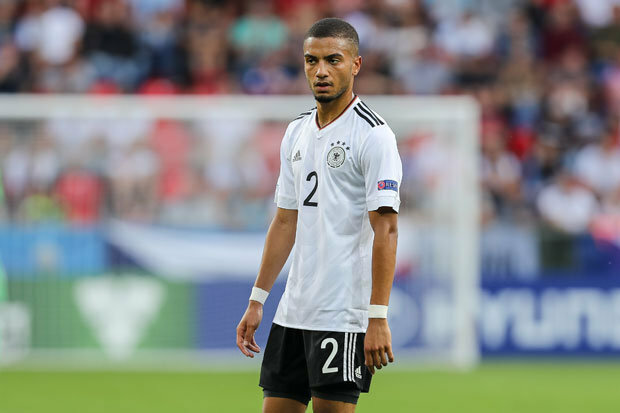 CHELSEA and Liverpool have reportedly joined Tottenham in the race to sign Hoffenheim defender Jeremy Toljan. Toljan, 22, made 20 Bundesliga appearances and scored one goal for Hoffenheim last season as they finished fourth. He impressed for Germany’s Under-21s as they won the European Championships in Poland. And his talents have not gone unnoticed with Tottenham showing an interest in him. Spurs boss Mauricio Pochettino is keen to find a replacement for Kyle Walker after he left the club to join rivals Manchester City in a £50million deal. It is said that the north London club was one of a number of players they scouted to fill the void left by the England international. Ricardo Pereira of Porto was another but the Portuguese club are playing hardball over his transfer as they want interested clubs to cough up his entire £22m release clause. However, Sky Sports claim Spurs will now face competition from Premier League rivals Chelsea and Liverpool to sign Toljan. It is said the duo have now entered the race to sign him following his exploits for Germany. Blues boss Antonio Conte is keen to bolster his options at right-back as he wants to provide healthy competition for Victor Moses. He has already missed out on the chance to sign Danilo with the Brazil international opting to join rivals Manchester City. While Reds boss Jurgen Klopp could also be interested in Toljan despite already having Nathaniel Clyne and Trent Alexander-Arnold at his disposal. Toljan has just one year remaining on his current contract at Hoffenheim and Sky Sports say he could be available for as little as £3m. And the German club has admitted he could depart if an offer is made as they cannot compete with the likes of Spurs in terms of wages. Everton manager Ronald Koeman has confirmed that midfielder Ross Barkley has no future at the club after turning down a new contract. The 23-year-old has one year remaining on his current deal at Goodison Park and was given an ultimatum last season that he must commit his future to the club this summer or be sold. No agreement has been reached between the two parties, and Koeman today said that he “100%” expects the England international to leave the club. “His personal situation is not so difficult. We made a really good offer to sign a new contract, he declined that contract and told me he’s looking for a new challenge,” he added to reporters. Barkley has been linked with the likes of Tottenham Hotspur, Chelsea, Manchester United and Arsenal this summer, although Everton have so far refused to budge from their £50m asking price. Spurs and Arsenal are understood to hold the strongest interest in the midfielder, although the North London duo are unwilling to meet the Toffees’ valuation and have also been put off by his wage demands. Barkley came through the ranks at Everton and has since scored 27 goals in 179 appearances for the senior side.